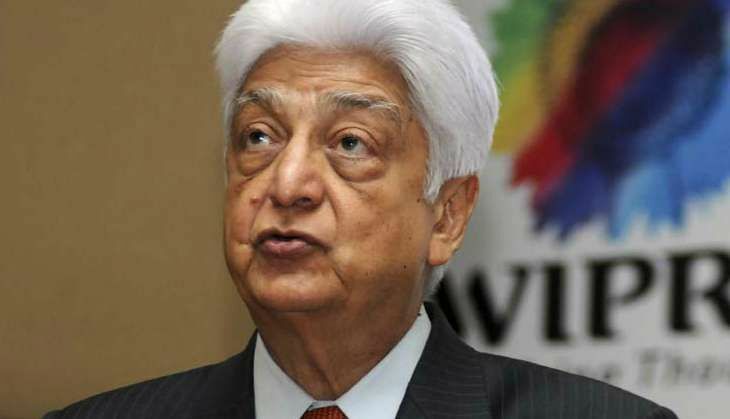 Wipro Chairman Azim Premji and HCL co-founder Shiv Nadar are the only two billionaires from India in Forbes' list of the world's 100 richest people in technology, ranking in the top 20 ahead of Google boss Eric Schmidt and Uber CEO Travis Kalanick. The '100 Richest Tech Billionaires In The World 2016' list has been topped by Microsoft founder Bill Gates with an estimated fortune of $78 billion. Premji ranks 13th on the list with a net worth of $16 billion and Nadar took the 17th spot with $11.6 billion of net worth. Two Indian-American technology czars Symphony Technology Group CEO Romesh Wadhwani and founders of IT consulting and outsourcing company Syntel Bharat Desai and his wife Neerja Sethi are also on the list. Forbes said Premji, who heads India's third-largest outsourcer, Wipro, has been on a buying spree in the past year to boost growth. Premji's son Rishad, who heads strategy and sits on the board, also oversees Wipro's $100-million venture capital fund. Nadar co-founded HCL, which is reportedly mulling a US listing, Forbes said adding that Nadar also owns HCL TalentCare, a skills-development firm that provides training to new graduates. His latest venture is a $500 million fund to invest in start-ups and US healthcare tech firms. Wadhwani comes in on the 67th position with a $3-billion net worth. A recipient of the 2013 Forbes India Non-Resident Philanthropist Award, Wadhwani announced in 2015 that he plans to commit up to $1 billion to fund entrepreneurship initiatives in India. The titans on Forbes' second annual list of the world's richest in technology are worth a combined $892 billion, six% more than a year ago. Just over half of the 100 richest in tech are from the US, including eight of the top 10 richest on the list. China has the second highest number of tech tycoons, with 19 people worth a combined $132.7 billion. The richest Chinese member is Alibaba founder Jack Ma, who is on the 8th spot and has an estimated net worth of US $25.8 billion. Canada has five tech billionaires and Germany has four. Forbes said the second richest person in tech Amazon founder and CEO Jeff Bezos is also the biggest gainer on the list this year and has an estimated $66.2 billion fortune, an increase of $18.4 billion since this list was released last year. That puts him ahead of Oracle chairman Larry Ellison, who comes in on the 4th spot. Ellison was also beaten by Facebook founder and CEO Mark Zuckerberg, who climbed from fourth to third place thanks to a 30% jump in the value of Facebook's stock; he is now also California's richest person, another title that previously belonged to Ellison. Only five women rank among the world's 100 richest in tech, including Zhou Qunfei on the 33rd spot. She became a billionaire in 2015 after Lens Technology's IPO, and has a net worth of $6.4 billion. America's richest self-made woman in tech is health care software firm Epic Systems founder and CEO Judy Faulkner, who has a net worth of $2.7 billion and is ranked 79th. The only other American woman on the list is Hewlett-Packard Enterprise CEO Meg Whitman, who has a net worth of $2.2 billion. She ranks 93rd. These 100 billionaires have an average age of 53, a decade younger than the average age of the entire 2016 Forbes Billionaires List.